The Yes, And…? Zero Waste Program is pivotal to making sure the Communikey Festival continues to divert as much waste from our landfills as possible. 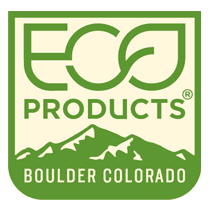 We work with our venues, festival goers and other partners to use compostable and reusable products whenever possible. 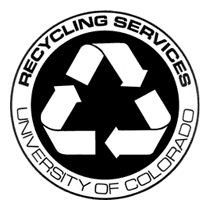 In 2011, out of the total 3,525 lbs of waste created at this year’s event, we were able to compost 2400 lbs and recycle 450 lbs! That equates to an astonishing 80% diversion rate for this year’s festival. We are working hard to come up with solutions to deal with the remaining 20% for 2012. To aid in this evolution, we have acquired grant funds that will be used to directly build on our existing zero waste infrastructure and expand the scope of our endeavours. Music festivals in the U.S. alone generate hundreds of tons of waste that is sent to landfills each year. Zero Waste programs reduce stress on our natural environment, divert materials from landfills and provide a new medium of sustainable education that is relevant to our community. 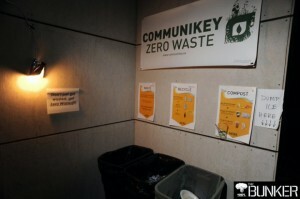 We encourage you to look out for our Zero Waste stations and make use of them throughout the festival and at all Communikey events.